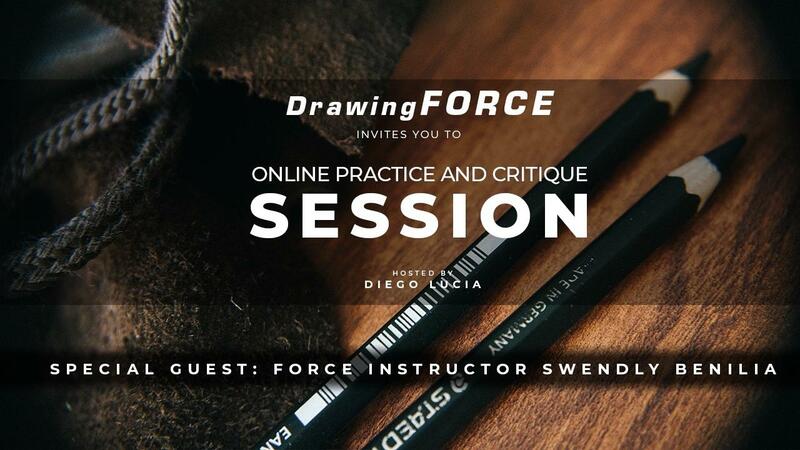 During these one hour sessions we are going to be drawing from reference and you'll receive critique by Diego Lucia, LIVE! Short Figure Drawing Poses from hand picked, exclusive, FORCE reference material. Diego is going to be drawing the same poses Live so you can follow along and ask questions. More than one hour of critique session hosted by Diego Lucia of your work. Learn by watching Diego critique the other attendees work as well. You'll be able to draw digitally or traditionally, that's up to you. Submit your drawings to a GoogleDrive™ Folder provided during the Session.